Welcome Home! Charming one story home with attached 2 car garage located in Raintree Subdivision! No city taxes, yet just around the corner to all the cities amenities. Spacious 1,336 heated square feet of living space with vaulted ceilings, skylights, statement fireplace with mantel, separate dining room, laundry room and hardwood flooring in the main living areas. Master suite on the opposite side of the home boasts a vaulted celling, en-suite with ceramic tile flooring, his and her vanities, large shower and walk-in closet. Outdoors is an elevated deck, storage shed and privacy fenced backyard. Seller is offering $3,500 in buyers closing costs. Contact us today to open the door to your new home! Lot Size: 0.34 Acres / 14810 Sq. Ft. Directions:Take Gum Branch Road past Western Blvd Ext. Left onto Raintree Road. Left onto Raintree Circle. Follow to Home and For Sale Sign on Right. SchoolsClick map icons below to view information for schools near 128 Raintree Circle Jacksonville, NC 28540. Listing provided courtesy of CENTURY 21 Champion Real Estate. 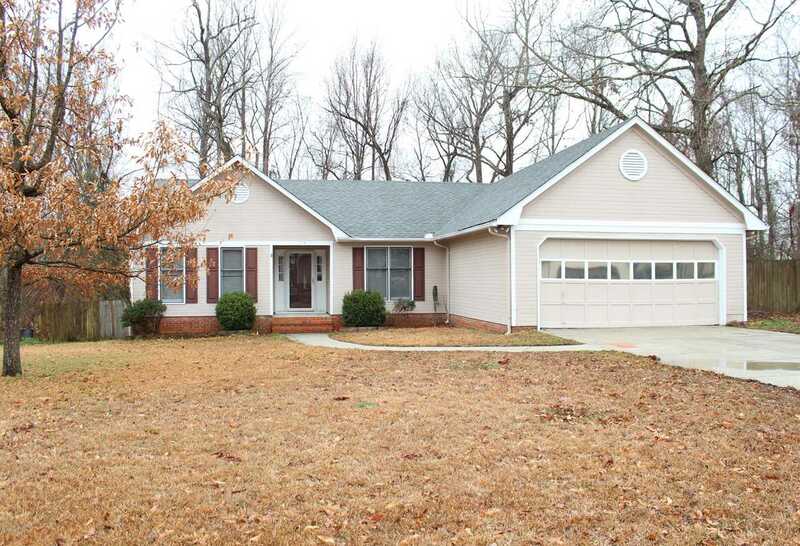 Home for sale at 128 Raintree Circle Jacksonville, NC 28540. Description: The home at 128 Raintree Circle Jacksonville, NC 28540 with the MLS Number 100149989 is currently listed at $142,000 and has been on the Jacksonville market for 69 days. You are viewing the MLS property details of the home for sale at 128 Raintree Circle Jacksonville, NC 28540, which is located in the Raintree subdivision, includes 3 bedrooms and 2 bathrooms, and has approximately 1336 sq.ft. of living area.